Season 7 of Fortnite Battle Royale starts in only three days, and now we know one feature that will come with it. Season 6 of "Fortnite Battle Royale" is slowly coming to its end. Players have only three more days to finish the Battle Pass and earn valuable cosmetic rewards from it. After this period, a new season will start, and everyone is looking forward to it. Season 7 is going to be big, and Epic Games hasn't revealed much about it. However, we know a few details about the upcoming season, which is why we're eagerly waiting for it to start. The "Fortnite" creator has finally decided to give players what they've been asking for since December 2017. Winter is coming! And no, this is not just a "Game of Thrones" reference, it is an actual feature that is coming to the most popular video game. That is not all, however, as we are going to get some special features related to winter, including skiing. Sounds fun! Epic Games has released the first teaser for "Fortnite Battle Royale" season 7. "A bitter ice spreads... 3 days to Season 7," is what the game developer posted on social media, referring to the upcoming season. 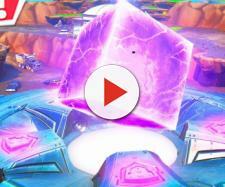 The teaser image reveals something that looks like a Battle Pass skin and an icy cave. Furthermore, the developer revealed skiing feature, which can also be seen in the image. The iceberg that is located southwest of the in-game island is quickly approaching the main playable area. Thanks to the replay feature in the game, we have already seen what the iceberg looks like, and there is also a castle at the top of it. The iceberg will most likely be located south of Greasy Grove, and it will be the first snowy area in the video game. Considering that Epic Games has added many mobility items in the last three seasons, it is not surprising that we are getting skiing. However, we don't know exactly how this feature is going to work, and there is a good chance that skiing will only be available in the new area on the map. There is a chance that the video game creator covers the entire island with snow during winter holidays, so we might be able to ski from Flush Factory to Risky Reels! 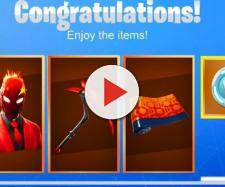 The teaser has revealed two new skins which will most likely be added in season 7 Battle Pass. The first skin looks like an icy character with a frozen crown, while the second image looks similar to the popular "Fortnite Battle Royale" streamer, Ninja. Ninja has been wanting Epic Games to add his skin to the game, and this is something that may happen in the upcoming season.